During the weekend, my home has been converted into a little Christmas bakery filled with the warm scent of spices. 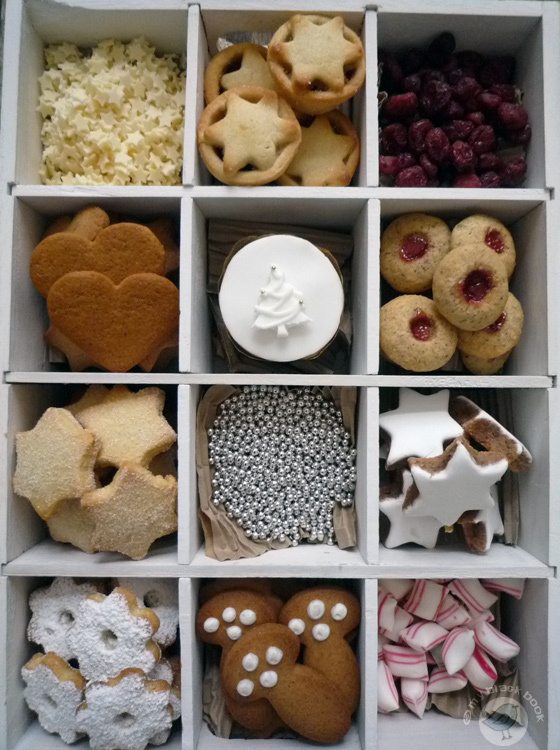 It was so much fun making yummy home made sweets like sugar cookies, vanilla stars, gingerbread cookies, mince pies… . What are your favourites bakes and cakes for Christmas ? Don’t wait any longer, warm up your oven and get started ! Such a beautiful display of goodies. They look so tempting!! Mmh sieht lecker aus. Braucht Ihr Hilfe beim Essen?